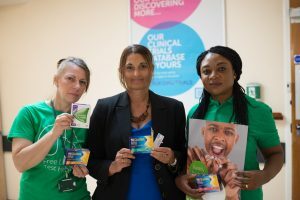 The Sandwell and West Birmingham Hospitals NHS Trust implemented a nicotine-replacement programme to help staff quit smoking, working with local smoking-cessation providers. The programme was first piloted from January to June 2014, and continues today with much success. A recent health survey within the Trust showed that only 6% of employees now smoke. Previously it was estimated that over 20% of the employee population smoked before the employee smoking cessation programme was offered. Prior to the trust piloting the nicotine-replacement programme in January 2014, staff had been encouraged to stop smoking but there had not been any funding earmarked for smoking-cessation initiatives. The trust states that research suggests smokers are between 50 and 70% more likely to quit smoking using nicotine-replacement therapy. The trust also quotes statistics on sickness absence and productivity as reasons for the nicotine replacement programme. According to the UK Centre for Tobacco Control Studies, sickness absence is one third higher for smokers and smokers are more likely to be absent for longer due to ill-health than a non-smoker. A health economic review for NICE also suggested that, on average, a person who smokes will have 33 more hours off sick per year than a non-smoker. Based on local population figures on smoking prevalence and the number of employees living locally, it was estimated in 2013 that there were around 1,000 smokers within the trust. Further, the trust had a previous objective in place to ensure that all trust sites and premises are smoke free by 2018. It wanted to change its policies to reflect this and it was requested by groups of staff that the trust fund a nicotine-replacement therapy pilot for its employees. Across the Sandwell and West Birmingham Hospitals NHS Trust, an integrated care organisation over three sites, plus community venues, that employs around 7,500 people across North West Birmingham and all the towns within Sandwell. Up to 100 staff members working across the trust participated in the programme. The programme also involved local smoking-cessation providers who gave smoking-cessation support and nicotine-replacement therapy to the participating staff members. The trust worked with local smoking-cessation providers and, when signing up to take part, staff members were sent a congratulatory letter confirming their acceptance onto the programme with a voucher attached. Staff were then required to attend the occupational health department clinics to exchange their voucher and start the programme with the local provider. The smoking-cessation clinics were available on the two main trust sites, three times a week. The provider then gave smoking-cessation support and nicotine-replacement therapy to the client for up to 12 weeks. In October 2013 the trust began advertising the pilot programme in both the official and non-official smoking shelters around the trust. There was also a partnership established with staff member representatives, human resources and the local council to drive forward the project proposals. With help from the internal communications team the trust launched the nicotine-replacement pilot programme in January 2014, with a big emphasis on New Year resolutions. To support the launch, the trust took a number of initiatives. Vouchers were issued to the occupational health service to give to employees who had asked about the programme and it was ensured regular smoking-cessation clinics were held on both trust sites. A range of nicotine-replacement therapies were sourced rather than just one type, to make it as accessible to staff as possible. Consistent communications were also delivered to the whole trust and targeted information was provided to smokers. The process was monitored and evaluated using staff surveys and the trust also monitored how many employees attended the clinics each week, whether people made a commitment to quit, the drop-out rate and the reasons for dropping out. 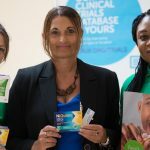 Regular contact was kept with the smoking-cessation advisors and the trust tracked all the data on a spreadsheet to ensure the evaluation could be as robust as possible. A specific reporting process was set up if problems should occur, in order to maintain a successful programme. At the end of the pilot it was concluded that the programme had been a success and it was decided that it would be continued as part of the wider staff health and wellbeing programme already in place at the trust. Very recently, the trust has also put in place an e-referral system so that employees can refer themselves to their local provider. The e-referral system is running in tandem with the smoking-cessation programme at the trust. From January to June 2014, 51 staff members joined the programme, 11 people dropped out of the programme and 29% of people quit smoking after six months, similar to local quit rates with the use of nicotine-replacement therapy. The trust further secured funding for staff members to use the nicotine-replacement treatment annually over the next three years. In 2014, there were 85 employees on the programme in total and in 2015, 101 staff members took part. The satisfaction rate from the initial pilot was very high, with 93% of staff stating they found the programme very useful. The quit rate has been consistent on the programme at around 30%. The trust has used a return on investment (RoI) tool to calculate the cost-benefits of staff quitting smoking. It estimates that if 50 smoking employees, who are on a mid-band salary, and who take three cigarette breaks of 15 minutes every day quit smoking, this would save 9,000 productivity hours per year, which equals a cost benefit of £99,000. ‘Employees welcome support with their health and wellbeing needs. The employee nicotine replacement programme has given employees the opportunity to access smoking cessation provision within the workplace. The programme has received good feedback from employees and I would recommend other organisations adopt a similar approach. In September 2017, Health and Wellbeing Manager Jenny Wright reported that ‘The employee smoking cessation programme continues with much success, a recent health survey within the Trust showed that only 6% of our employees now smoke. Previously it was estimated that over 20% of our employee population smoked before the employee smoking cessation programme was offered. There has been resistance from employees who are not fully supportive of the trust’s objective to become fully smoke-free by 2018. This has been partly overcome by staff increasingly using e-cigarettes. E-cigarettes can currently be used in the smoking shelters, and the trust is reviewing whether to allow them when the trust goes fully smoke-free in 2018. Local commissioning providers do not use e-cigarettes in their current smoking-cessation programmes. Another key challenge for the trust has been the difficulty of releasing staff to attend the cessation clinics. With different shift patterns and rosters, staff members were not able to regularly attend the clinics or have been too busy to attend during their breaks. While this continues to be a difficult challenge, the trust has enabled staff to liaise directly with the provider and arrange individual appointments to ensure attendance. The trust has also put effort into highlighting in their campaigns for the programme that getting time off to attend clinics is acceptable practice. To get managers on board, the trust ensured support from the human resources department for the programme and emphasised that non-smokers are more productive because they do not take smoking breaks, as well as taking fewer sick days than smokers. Managers have since embraced the programme and the culture is now very supportive. The smoking-cessation programme has been well-received and will continue as part of the wider health and wellbeing strategy. The programme will also be continuously evaluated in order to ensure that it is an effective use of resources.